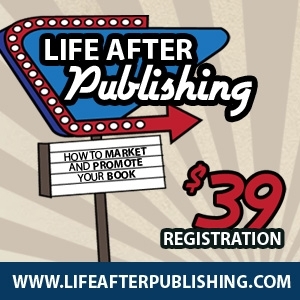 For authors book marketing can take on many facets. However, there are some emerging staples of the marketing industry that you will want to be sure you are taking advantage of and exploiting to their fullest. Let’s look at three of those. While you may not want to hear it, it is important to establish an online presence as an author in this day and time. Don’t miss out on opportunity by staying rooted in the past. Many writers, especially those that want to stay true to the craft, find the internet and online media to be a daunting environment. But don’t let any reservations you have about online media be an anchor that keeps you from flowing with the current. As an author, you will definitely want to establish a website. But don’t feel like you have to go out and spend thousands of dollars right off the bat. There are plenty of ‘free’ site builders around that are great to use to get your feet wet. Then, when you are comfortable enough to swim out a bit more, you can find a reputable web firm to assist you in taking your site to the next level. As a writer, cranking out blog posts will be a natural progression for you. Try to find sites that will allow guest submissions and be sure to include links back to your website—again, building on the presence you are establishing online. When blogging, whether for yourself or other sites, remember to choose angles that relate to your writing and your books. Specifically look to guest post on sites that are built around a niche that you cover in your stories. For instance, the author of a western novel themed around railroad company, should find train collector blogs to guest posts on. While not all train collectors would be interested in a western novel, the automatic connection to those with an interest in trains, can result in many of the readers looking further into your book. Find those niche’s in your writing that you can use as a bridge to connect with audiences that are already established around a specific topic. A few years ago, social media was considered a fad, but most mainline marketing companies have now embraced it as a viable marketing alternative—in fact, many require their accounts to have a strong social media presence. If you’re unfamiliar with social media, start small. I always recommend that my clients begin by setting up a Twitter account. Twitter is simple to use and takes the least amount of time to master and maintain. And for authors Twitter is especially useful for connecting not only with readers, but other writers, editors and publishing houses in general. One of my authors landed a book review in a national publication after approaching the editor on twitter. It really can lead to fantastic marketing results. After you have gained some confidence in the social media world, add on new accounts such as Facebook, LinkedIn & Pinterest—all great FREE marketing opportunities for you.